The late Seventies and early Eighties in Taipei were the best possible times and place to learn about both the culture and cuisine of China, since the majority of China's greatest chefs had followed Chiang Kai-shek to Taiwan in 1949.
cuisines. Not only that, less monied cooks had smaller places of their own that offered authentic home-style dishes, and street hawkers filled in the gaps with cheap, good eats that fed my soul and tantalized my mouth. National Museum of History and the National Central Library, and the best part of those jobs was that I accompanied the directors and their staff many times a week on forays to Taiwan's dining palaces with foreign dignitaries and official guests, where I would interpret over dinner; since both directors were refined men with a deep appreciation for China's exquisite cuisines, I ate the best there was and came back for seconds. What this ended up doing was train my palate while it opened my mind up to flavors and foods I had not before considered possible. I dined on everything from Chinese haute cuisine to street snacks, and these provided me with rare entrée into local society. 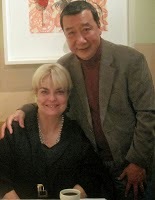 famous epicures such as the renowned artist Chang Dai-chien. their family recipes and secret techniques. styles. I retired from the courts a while ago to devote myself fully to food writing. in my upcoming illustrated book, ALL UNDER HEAVEN, about all the cuisines of China, which was published by McSweeney's and Ten Speed Press, as well as in THE DIM SUM FIELD GUIDE (Ten Speed), that was published on the same day. 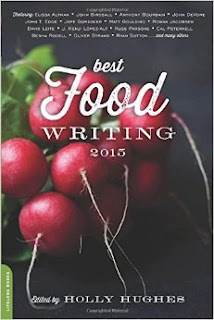 One of my stories was selected for THE BEST FOOD WRITING 2015, and my work can also be found in such well-known food writing venues as Lucky Peach, Gastronomica, Alimentum, Huffington Post, and Pork Memoirs. In addition, my "Dim Sum Field Guide"
was reprinted in Buzzfeed and featured at the 2013 MAD Symposium in Copenhagen. If you want to know more about me that seems proper or even possible, check out this interview with me on the wonderful Swallow Daily. You are welcome to follow me on my blog here, as well as on Twitter (@MadameHuang) and Instagram (@TheRealMadameHuang). In addition to writing, I'm also a professional artist with a junior black belt in kickboxing, an ersatz ordained minister (Universal Life Church Monastery), and I've killed a couple of rattlesnakes in my yard. I live in California with my husband of three decades, that cute guy on the right - the author J. H. Huang - and can be reached at MadameHuang[at]gmail[dot]com. ALL UNDER HEAVEN: RECIPES FROM THE 35 CUISINES OF CHINA. McSweeney's + Ten Speed, 2016. THE DIM SUM FIELD GUIDE. Ten Speed Press, 2016. "Monkey Eve" included in Best Food Writing 2015, Holly Hughes, ed. 101 Women Bloggers to Watch for 2011, WE Magazine for Women. “Dim Sum Field Guide,” Lucky Peach DIY booklet. “How to Make Perfect Moon Cakes for Chinese Mid-Autumn Festival,” Huffington Post: “The Blog,” Sept. 19, 2013s. Originally published as “Moon Cakes, Part 2: Made Flavorful And Fresh At Home,” Zester Daily, Sept. 26, 2012. “A Beginner’s Field Guide to Dim Sum,” Lucky Peach, Issue 5: Chinatown, Fall 2012. Republished on Buzzfeed, Dec. 29, 2012, with close to 300K immediate hits. This was also featured at the 2013 MAD Symposium held in Copenhagen co-sponsored by Chef David Chang and Lucky Peach. “Knife Skills to Tantalize the Eye,” Zester Daily, July 3, 2012. 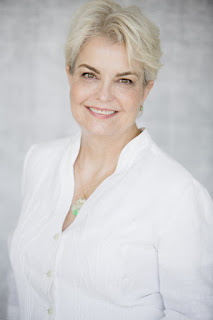 Republished on the Culinary Institute of America’s “ProChef SmartBrief” website. “Monkey Eve,” Alimentum, July 2014. 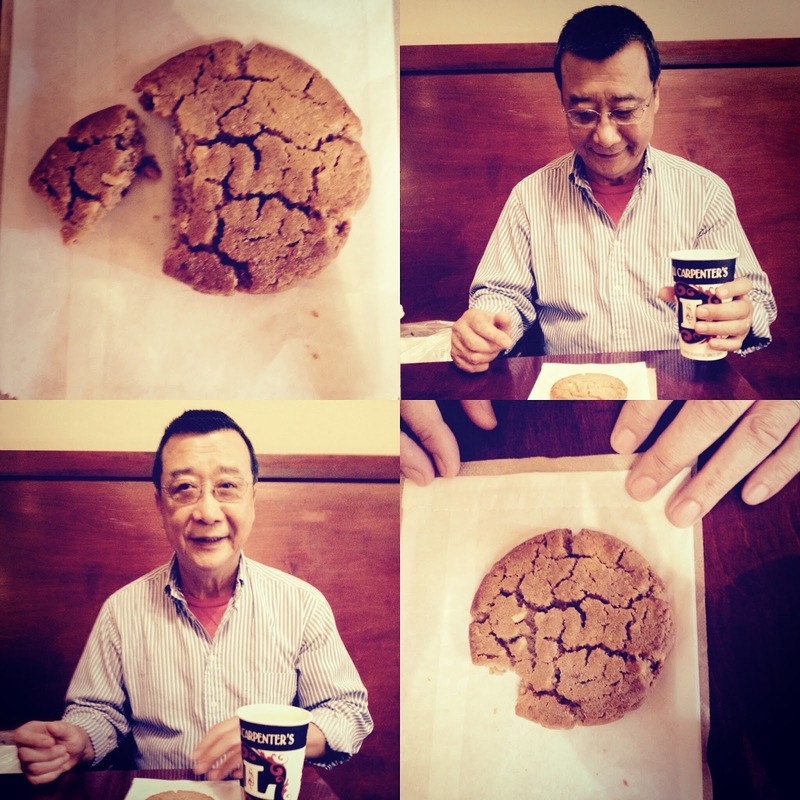 “The Kitchen God of Chinese Lore,” Gastronomica, Winter 2014. “A Beginner’s Field Guide to Dim Sum,” Lucky Peach, Issue 5: Chinatown, Fall 2012. Republished on Buzzfeed, Dec. 29, 2012, with a shoutout by LAWeekly Food on Jan. 4, 2013. This was also featured at the 2013 MAD Symposium held in Copenhagen co-sponsored by Chef David Chang and Lucky Peach. “Fish heads, Kill Bill, and random thoughts,” Swallow Daily magazine, Nov. 12, 2012. “How to Commit Poetic Justice on a Slab of Pig,” Pork Memoirs, entry 49, Nov. 2011. Huang's Kitchen, Mar. 11, 2013. Daily, Dec. 4, 2012, and also on the Swallow Daily site here. of China, Jan. 18, 2012. Part 2: Made Flavorful and Fresh at Home,” Zester Daily, Sept.
Memoirs, entry 76, May 2012. Nuggets,” Zester Daily, Mar. 29, 2012. Chinese Palates,” Zester Daily, Jan. 25, 2012. Stir-Fries,” Zester Daily, Jan. 24, 2012. Rice Cakes,” Zester Daily, Jan. 19, 2012. Radish Cakes,” Zester Daily, Jan. 18, 2012. Desserts,” Zester Daily, Dec. 21, 2011. Greens,” Zester Daily, Dec. 20, 2011. Un-Brady Christmas,” Zester Daily, Dec. 16, 2011.
of Beans,” Zester Daily, Nov. 30, 2011.
and Mercury,” Zester Daily, Oct. 14, 2o11. Debate,” Zester Daily, Sept. 15, 2011. Fin Soup,” Zester Daily, Aug. 17, 2011. Sichuan Cuisine,” Zester Daily, July 26, 2011. Dumpling Party,” Zester Daily, Jan. 17, 2012. Ballet,” blog entry, Dec. 29, 2011. Whisker Candy,” Zester Daily and blog entry, Nov.
Bar-B-Q Stand, San Luis Obispo Farmer’s Market,” blog entry, Nov.
Culinary Crossroads," Zester Daily, Dec. 28, 2012. Cookbook' Details China’s Soul Food,” Zester Daily, Oct.
Finest,” Zester Daily, June 7, 2012. Ingredients,” Zester Daily, Dec. 7, 2011. Meatless Cookbook,” Zester Daily, Nov. 29, 2011.
at ElBulli,” Zester Daily, Nov. 15, 2011. Fusion,” Zester Daily, Nov. 1, 2011.
can't find anywhere else to ask...: "Mrs Huang, is Wonderful world (macau) blog written by you? " Nope! I'm based in the San Francisco area. Thanks, Christine! What a wonderful surprise! I adore Mother Jones and Bite, so this is a terrific gift, as far as I'm concerned. Thank you, Jennifer, and please relay my gratitude to Tom Philpotts, as well. So odd...I purchased "All Under Heaven" about 7 months ago, and I have waded into it now and again. This evening my husband and I were walking about our gardens. We harvested bunches of herbs for drying and some early chiles. we have extensive day lily plantings. I was pondering Chinese cuisine and googled "can I dry my own day lilies for Chinese cuisine". your blog was the result I clicked on. I had just read the story of your MIL in your book(her fleeing as a child, and eating thimble cakes in your apartment) and that blog post was featured and highlighted. I love the sweet coincidences of modern life! These kinds of stories make life seem like such a wondrous gift. Thanks! Do you eat your day lily buds? What variety? A friend of mine was talking about that recently, too, and I'm thinking about jamming a few plants into my already overplanted garden. I love your blog and have All Under Heaven. I just have one request/suggestion. Your blog is very hard to read. The semi-transparency makes the letter is often very difficult to see. I'm sure why but some posts are much harder to see than others but all are not very legible. I would love if you made the foreground with the actual post completely opaque. Otherwise I read loyally. Thanks for the suggestion. Hope this is better! It's so much better, thank you. I've just found your sight through another pin on Pinterest. Are you or can you plan on putting a Pinterest icon on the recipes from this website? That's an excellent idea. Thanks, Lisa! It looks like your radish cake is pretty close to the “carrot” cake that I had in Singapore and Maylasia and LOVED. It was served with a sauce there, but yours is not it seems. Anyway, I love your blog and look forward to reading it every Monday.